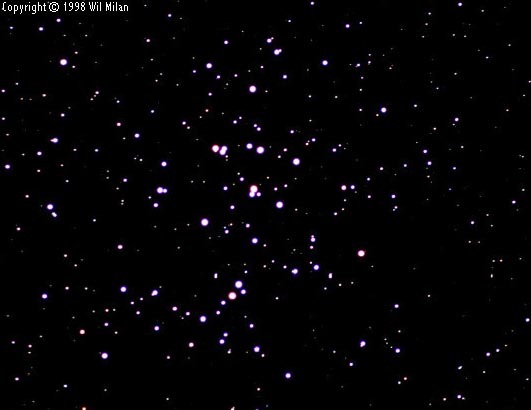 Explanation: M44 is a prominent open cluster of stars. 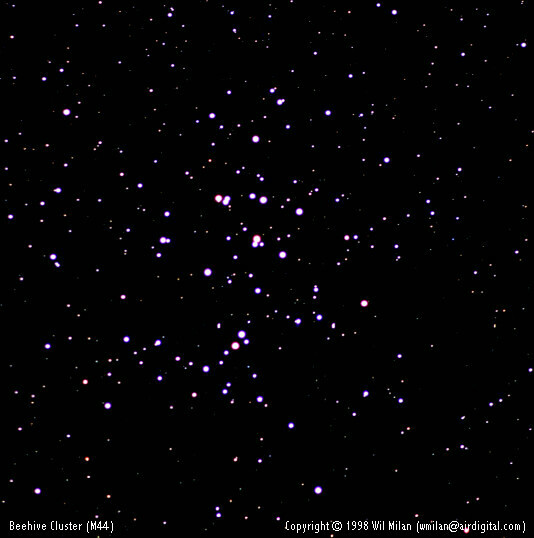 Nicknamed Praesepe and "The Beehive", it is one of the few open clusters visible to the unaided eye. M44 was thought to be a nebula until Galileo used an early telescope to resolve the cluster's bright blue stars. These stars are visible in the above image. M44, which is thought to have formed about 400 million years ago, is larger and older than most other open clusters. The Beehive Cluster lies about 580 light-years away, and spans about 10 light-years across. When viewed with a powerful telescope, hundreds of stars become visible.